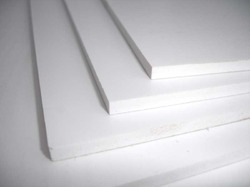 Adhering to the industry set standards, we are engaged in offering Skinning PVC Foam Sheet. Used in interior designing, the offered sheets are manufactured under the guidance of expert professionals. To meet the demands of customers, we are engrossed in offering these sheets in different specifications. Owing to our vast industry experience and expertise, we are engrossed in providing PVC Foam Sheet. Widely demanded for manufacturing tables, sofa, chair and bed, these sheets are extensively used. Post-production, these sheets are checked by our team of quality controllers to ensure flawlessness. Creating new benchmarks in the industry as a reliable organization, we are engaged in offering PVC Celuka Foam Sheet. Demanded in commercial, residential and industrial establishments, these sheets can be customized as per the requirements. Apart from this, our offered sheets are dispatched within committed time-period. 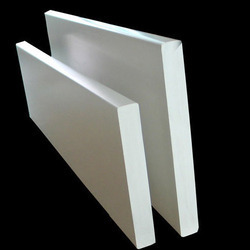 Understanding the demands of customers as a reliable organization, we are engaged in offering Closed Cell PVC Foam Sheet. Using superior-grade poly vinyl material, the offered foam sheets are manufactured with perfection. Also, these foam sheets are used in different industrial applications.